From July 1, vehicles with expired registration licences on Ajman roads will be flagged off by a smart detection system, the police announced on Sunday. 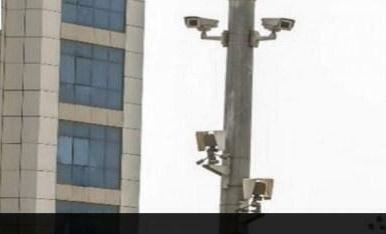 Smart cameras placed across the emirate will scan through licence plates and immediately flag expired ones. The police will then seize the vehicle. Colonel Khalid Mohammed Al Nuaimi, deputy director general of police operations, told Khaleej Times that the system will be activated on internal and external roads of the emirate. "The smart system will save the time of policemen and allow police patrols to focus on other issues to ensure safety in the emirate," he added. The system will book vehicles with expired registration as on July 1, 2018. Such vehicles are slapped with a fine of Dh500 and four black points and will be seized for seven days. Col Al Nuaimi said the system is part of the police's efforts to enhance traffic safety by reducing the number of vehicles with the expired licences on the roads of the emirate.